Arguably the single most important piece of outdoor gear is a solid backpack. Too small of a backpack means you won’t be able to carry all the equipment needed for your trip. Too large of a backpack and you’ll need with excessive weight and an improperly compressed load. Weight is always an important factor to consider and plays heavily into which backpack you should or shouldn’t buy. Even more important than weight is the comfort. An uncomfortable backpack isn’t just irritating, but can actually cause damage to your back, neck, and shoulders. 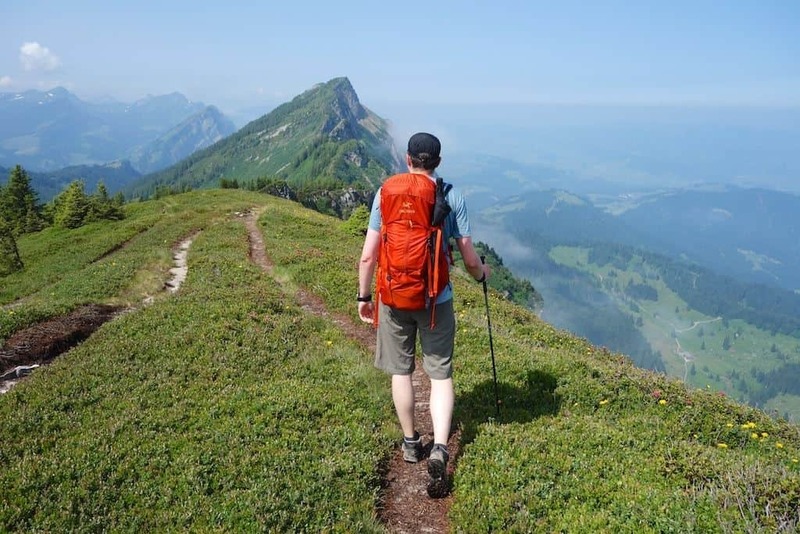 For these reasons, it is well worth the extra expense of purchasing a backpack from a reputable, high-performance outdoor gear brand – such as Arc’teryx. Arc’teryx focuses on technical outerwear and equipment. 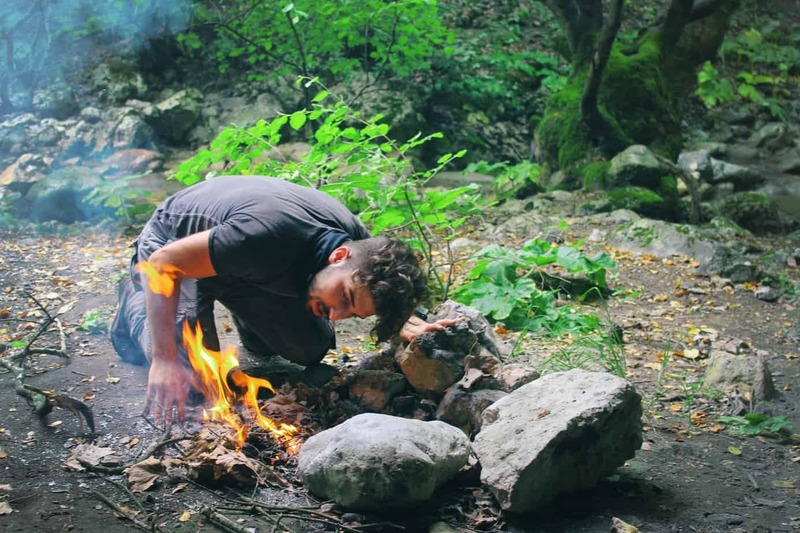 They are best known for their apparel lines, but they certainly produce top-notch camping and hiking gear as well. Arc’teryx backpacks and daypacks are one of their most popular products when it comes to hiking equipment. Arc’teryx’s Altra line features a range of different bags, from daypacks up to large volume multi-day backpacks. Their Altra 35 is a smaller bag, being a daypack in design but with the quality construction of a serious backpack. At first glance, you can see that the Altra 35 looks very much like a slimmed down, more compact version of a beefier backpack you’d expect for a week-long excursion into the backwoods. It has a classic “technical” design that is very pleasing to the eye but includes practical features. The Altra 35 isn’t Arc’teryx’s most popular or highest-rated daypack, but it does offer plenty in terms of advantages. Those searching for a new daypack that gives them a little more than the typical single-compartment casual pack effect may find the Altra 35 to be a great choice. Should You Buy the Altra 35? The Altra 35 is a bit between being a daypack and a backpack, though most will put it into the daypack category due to its capacity. That being said, it is a larger daypack and may be used for an overnight or weekend backpack in a pinch. The Altra 35 retails for about $249.95, however, Arc’teryx no longer produces the Altra line. Therefore if you have your heart set on this model you will need to purchase from retailers. The bonus to this is that even though the bag will be harder to find, you’ll also get it with a discount off the retail value. Right off the bat, you can see the feature list that Arc’teryx really put a lot of effort into designing and constructing the Altra 35. This daypack is really a step above most and an impressive choice for new outdoor enthusiasts and seasoned pros alike. There is a fine line between a daypack with too few features and one that has so many extras it loses some of its functionality. The Altra 35 is a great example of a daypack with quite a few different features, but one that still is highly usable. It has the right number of pockets and organization options, plus the side and top access to the main compartment are excellent. This certainly isn’t your typical plain Jane daypack, but it also isn’t overdone. The Altra 35 is right between a typical daypack and a typical 1-3 day backpack. Being 35L in capacity it is on the high end for a daypack but just a bit too small for a multiple-day backpacking trip. This actually lends to this bag’s overall versatility. You will have plenty of space if you use it just for a day, even if you’re a new backpacker that doesn’t quite yet have UL or technical style of lightweight gear. However, if you’re a seasoned backpacker with UL or similar quality gear, chances are you could get away with using the Altra 35 for a weekend trip with ease. Durability is always something to consider when shopping for a backpack. Daypacks tend to not be as tough as their backpack cousins, but this isn’t quite the case with the Altra 35. This model is surprisingly durable and able to handle basically any terrain. The reinforced bottom and wear points show that Arc’teryx really designed this bag to hold up to regular, heavy use. There are quite a few reasons why so many love the Altra 35, but these three major benefits sum it up well. The combination silicone and PU coating on the exterior of the bag to keep the interior dry in humid and misty conditions, or the odd light rain, but the Altra 35 won’t withstand heavy rain. This isn’t a huge deal, as you’ll likely want to use a rain cover for any backpack in wet weather as added protection, but something you may want to consider when weighing pros and cons. A universal rain cover will likely work well with this bag, but you can also purchase a cover designed specifically for this model. A temptation of some new backpackers is to overload a backpack will too much weight. Just because the gear all fits doesn’t mean you should push the limits of the bag. Remember, the Altra 35 is designed as a daypack. The suspension and harness system simply isn’t designed for super heavyweight and you may end up with a sore back. Be reasonable and don’t overload this backpack and you’ll likely never experience any discomfort. Neither disadvantage should be an issue, so long as you are aware of them and plan ahead. 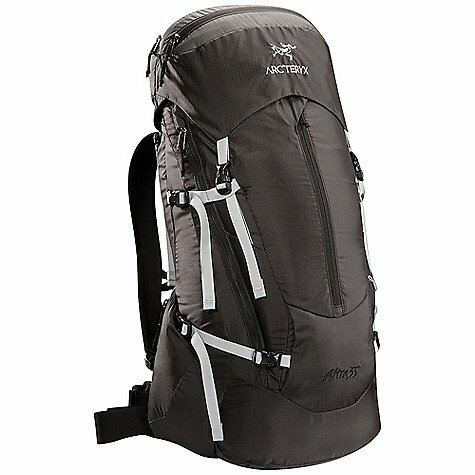 Overall the Altra 35 is a good pack to purchase if you want a bigger daypack that has similar features to full-size backpacks. It is a very tough backpack, great for any climate, but be sure you carry a rain cover if there is a chance of wet weather. As long as you treat the Altra 35 as a daypack and don’t attempt to overload it, there should be no issues with discomfort. The Altra 35 is a very nicely designed large daypack with the quality level you’d expect of an Arc’teryx bag.